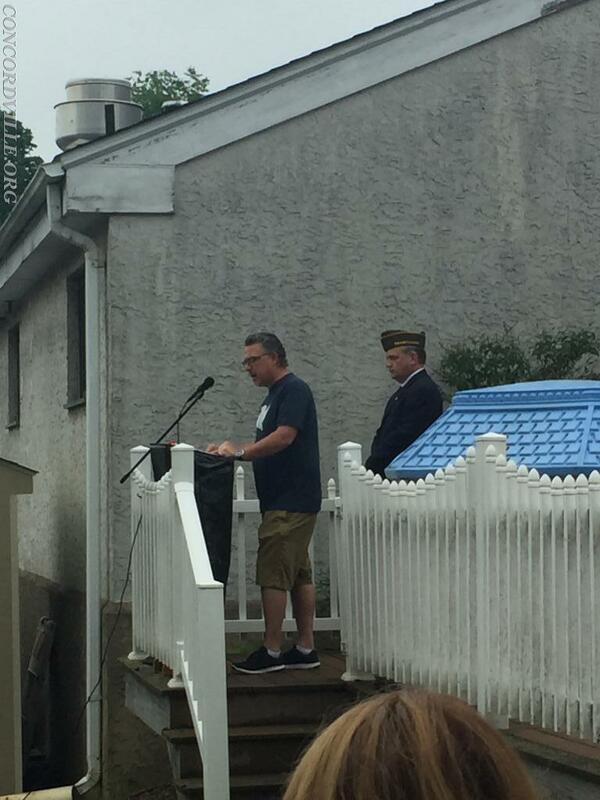 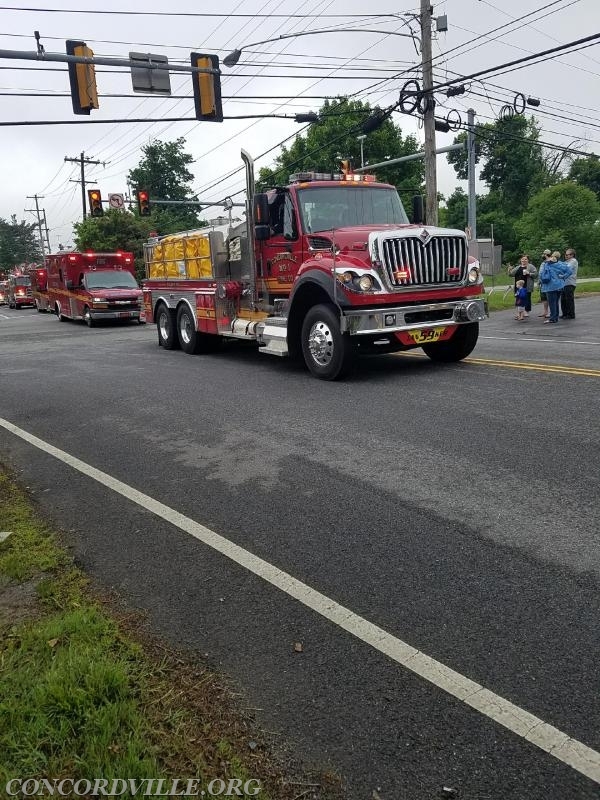 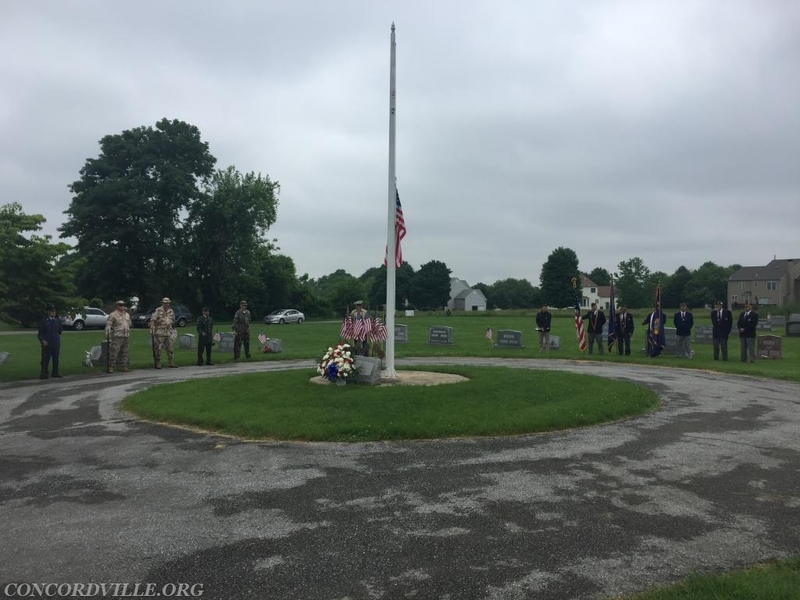 On Monday May 28th Company 59 participated in the annual American Legion Post 811 Memorial Day Parades in both Concord and Bethel Township. 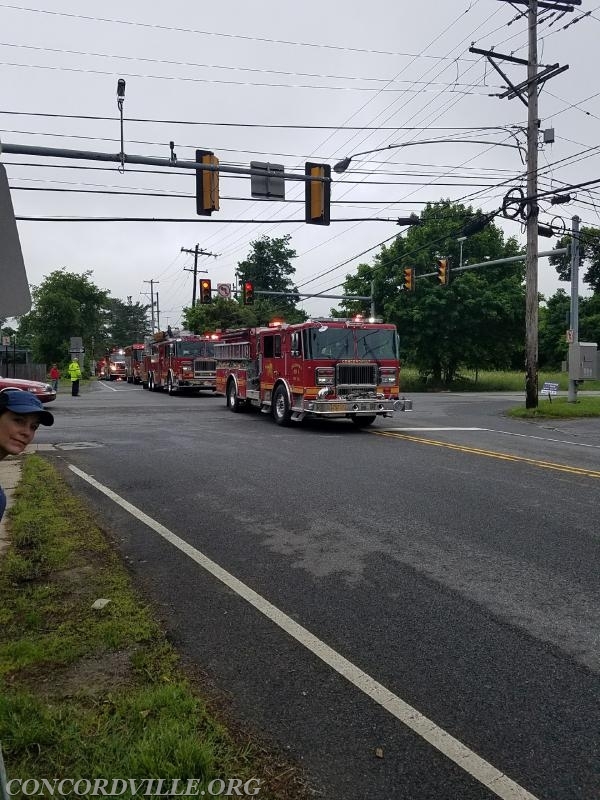 Engine 592, Tower Ladder 59, Rescue 59, Tanker 59, MICU 59 and Ambulance 59 along with Bethel Twp. 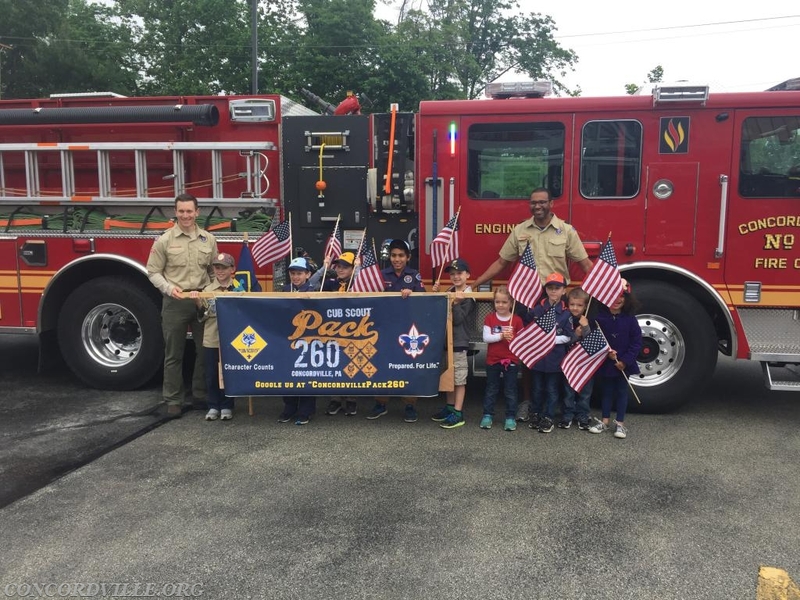 Hose Co.#1, Local Boy Scouts, Cub Scouts and Brownie Troops, Garnet Valley High School Band, Antique Cars and Reenactors took part in the parades. 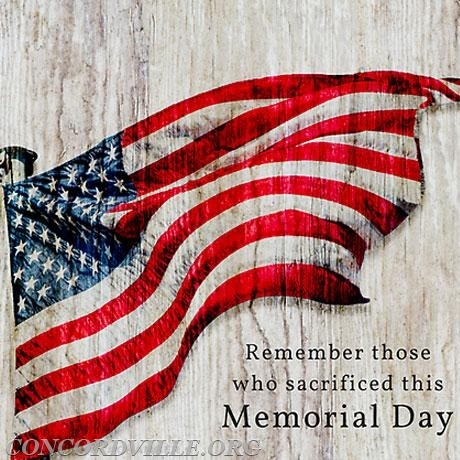 Memorial Services honoring our fallen military members were held at Elam Church and Siloam Church after each parade. 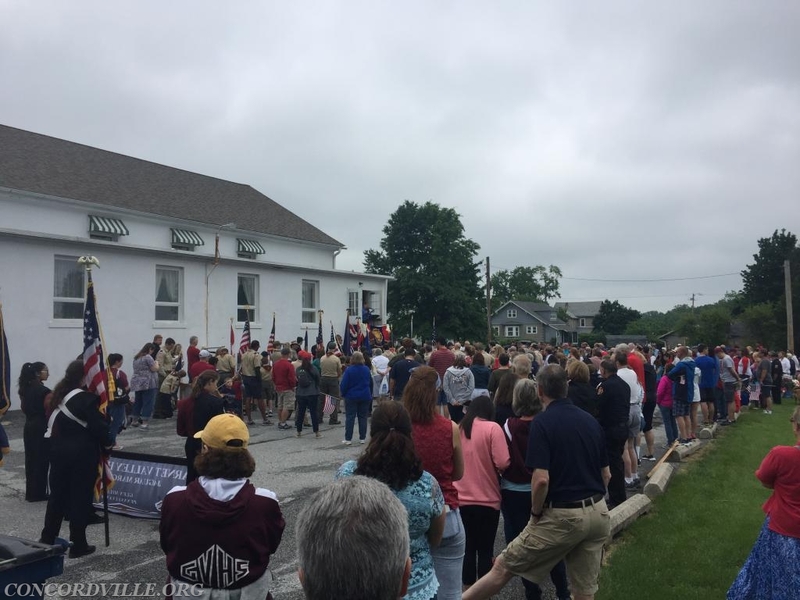 Thank you to those who sent us pictures from the parades.